Here is the list of the hotels near Sos. Book your hotel near Sos today, Tuesday 14 May for the best price, reservation and cancellation free of charge thanks to our partner Booking.com, leader in on-line hotels reservation. Below here is the list the 50 closest hotels of Sos, sortable according your criteria. You will find the position of these accommodations on the Sos hotels map. Gite Le Cocon Sosiate is set in Sos and offers barbecue facilities and a garden. The property features garden and city views. The holiday home comes with a flat-screen TV, 4 bedrooms and a living room. The kitchen features a dishwasher. Staff at the 24-hour front desk can provide guidance on what to do in the area. The holiday home offers a terrace. Condom is 27 km from Gite Le Cocon Sosiate. The nearest airport is Agen La Garenne Airport, 53 km from the property. 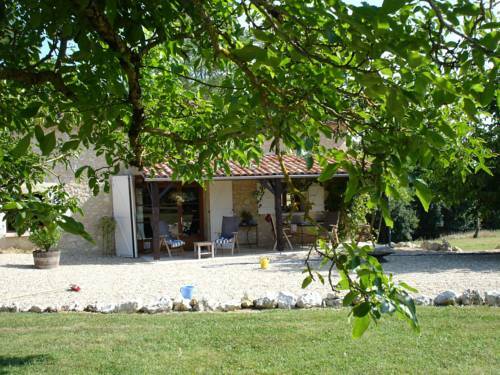 Gite Sicard is located in Sos and offers barbecue facilities, a garden and a terrace. The holiday home has access to a restaurant and free WiFi. This holiday home has 3 bedrooms, a satellite flat-screen TV, a dining area, and a kitchen with a dishwasher and an oven. Hiking can be enjoyed nearby. Condom is 27 km from the holiday home. Agen La Garenne Airport is 53 km from the property. Situated in Sos, Gite features air-conditioned accommodation with a terrace and free WiFi. Guests staying at this holiday home have access to a fully equipped kitchen. Opening onto a patio with garden views, the holiday home consists of 3 bedrooms. A flat-screen TV with satellite channels is provided. Condom is 27 km from the holiday home. The nearest airport is Agen La Garenne Airport, 53 km from the property. L Orme is set in Sos and offers water sports facilities. This property offers access to a terrace. The holiday home has 1 bedroom, a TV and a fully equipped kitchen that provides guests with an oven, a microwave, a washing machine and a fridge. The holiday home offers a barbecue. Guests at L Orme can enjoy horse riding nearby, or make the most of the garden. Condom is 29 km from the accommodation, while Labastide-dʼArmagnac is 29 km from the property. The nearest airport is Agen La Garenne Airport, 56 km from L Orme. Providing an outdoor swimming pool and a spa area with sauna and hot tub, this B&B if located in the city of Sos, 2 hours’ drive from Toulouse. Massages can be requested at the property, which also features free Wi-Fi. All of the rooms have a private entrance, a furnished terrace and a TV with DVD player. The bathroom is equipped with a walk-in shower and separate toilet. A continental breakfast is served every morning and a communal, fully equipped kitchen is at your disposal. Some restaurant can be found 4 km away. Barbotan les Thermes is 17 km away and Agens is 1 hour’s drive away. Free private parking is available on site. Located in Poudenas, Le Bastion Du Prince Noir offers a self-catering cottage within the estate of the 13th-Century castle. There is an outdoor swimming pool on site as well as a 10-hectare park with a fishing lake. The cottage features a private terrace, a living room with a stone fireplace, a laundry room with a washing machine and clothes dryer as well as 7 bedrooms. The kitchen includes a stove and microwave. A continental or English breakfast is available at an extra charge. Guests can canoe on the lake at a supplement and there is also a tennis court, swing set and tours of the castle. Agen is 47 km away and Condom is a 25-minute drive from the property. Free Wi-Fi access is available and free private parking is possible on site. Located 13 km from Condom and 22 km from Nérac, Du Côté de Chez Jeanne offers bed and breakfast accommodation with free Wi-Fi, a common sitting area and a shared kitchen. In the morning, a buffet breakfast is served. Guests can use the kitchen too cook. The rooms all have a large double bed or twin beds, and an en suite bathroom with a walk-in shower and free toiletries. There is parquet flooring in the rooms and tiles in the bathrooms. They also feature a seating area. Guests can make the most of the terrace and play billiards at Du Côté de Chez Jeanne. Agen is 50 km from the property and Walibi theme park is 45 km away. There is also an aquatic park in Nérac, 22 km away, and there is free parking at the property. Offering free WiFi and city views, Les Hirondelles is an accommodation situated in Fourcès. Guests staying at this holiday home have access to a fully equipped kitchen. With 1 bedroom and 1 bathroom, this holiday home comes with a flat-screen TV. The holiday home offers a children's playground. Hiking can be enjoyed nearby. Sos is 14 km from Les Hirondelles, while Condom is 13 km from the property. The nearest airport is Agen La Garenne Airport, 52 km from the property. A self-catering accommodation located a 21-minute drive from Condom, La Maison des Cornières offers a seating area with a fireplace, a TV and free WiFi access. La Maison des Cornières will provide you with a fully equipped kitchen, as well as ironing facilities and a washing machine. The bathroom also comes with a walk-in shower and a hairdryer. In the property’s village, there are stores and a regional cuisine restaurant. Guests can request for a continental breakfast to be prepared at a surcharge. Agen Train Station is a 52-minute drive away. In the surroundings, cycling and hiking are possible. A tennis court can be found less than a 5-minute walk from this property, which offers free public parking at a nearby location. Situated in a typical Gascogne village, this 15th and 17th-century castle is set in a wooded park and offers an outdoor swimming pool. All the en suite rooms at Château De Fourcès are elegantly decorated with wooden furnishings and large bay windows. They come with four-poster beds and a flat-screen TV. Guests can relax on the sun beds and admire views over the park from the terrace. Situated in Fources, Château De Fourcès is the ideal place to explore the medieval houses and churches. It is also only 40 km from the famous Nogaro racing circuit. Featuring a seasonal outdoor swimming pool, barbecue facilities, and a garden, gite LAMOURETTE provides accommodation in Gabarret with free WiFi and pool views. The accommodation is 50 km from Mont-de-Marsan. The holiday home has 6 bedrooms, a fully equipped kitchen with a dishwasher, and 6 bathrooms with a shower and a hair dryer. A flat-screen TV is offered. The holiday home offers a terrace. Cycling can be enjoyed nearby. Sos is 11 km from gite LAMOURETTE, while Condom is 38 km away. Agen La Garenne Airport is 64 km from the property. La Petite Galerie is set in a fully restored 800 year-old stone house in Mézin and offers a private walled garden. The property is 40 km from Agen and free parking is available. The house offers a fully equipped kitchen, a living room and 3 bedrooms, each with its own private bathroom. A terrace and a barbecue facilities are also available. The holiday home offers a children's playground. Hiking is possible nearby and a watercolour painting lesson can be enjoyed if you book for 7 days or more. The nearest airport is Toulouse-Blagnac Airport, 150 km from the property. Hotel Gabarret Preferred hotel ! Offering an outdoor swimming pool, a tennis court and a restaurant, Château de Buros is located in Gabarret. Free WiFi access is available. Each bedroom has a private bathroom with a bath or shower, a hairdryer and bathrobes. Extras include a fan. Other facilities offered at Château de Buros include a children's playground. An array of activities can be enjoyed on site or in the surroundings, including cycling. The property offers free parking. Ferienhaus Lannes 300S is set in Lannes. Guests staying at this holiday home have access to a fully equipped kitchen. Sos is 14 km from the holiday home, while Condom is 12 km from the property. The nearest airport is Agen La Garenne Airport, 51 km from Ferienhaus Lannes 300S. Situated in Montréal in the Midi-Pyrénées region, La Métairie du Clos Saint Louis provides accommodation with free WiFi. A continental breakfast is available daily at the property. Sos is 13 km from the bed and breakfast, while Condom is 21 km from the property. The nearest airport is Agen La Garenne Airport, 59 km from the property. Providing city views, Victorian Lodge in Montréal offers accommodation, a garden, a terrace and a shared lounge. Complimentary WiFi is available. All units include a fully equipped kitchen, allowing guests to prepare their own meals. An oven and microwave are also featured, as well as a coffee machine and a kettle. A continental breakfast is available daily at the bed and breakfast. At Victorian Lodge you will find a restaurant serving Pizza cuisine. Cycling can be enjoyed nearby and a bicycle rental service is available. Sos is 17 km from the accommodation, while Condom is 16 km away. Agen La Garenne Airport is 54 km from the property. Domaine Le Poteau is located in Castelnau-dʼAuzan. All units comprise a seating area, and a fully equipped kitchenette with various cooking facilities, including an oven, a microwave and a fridge. A stovetop and coffee machine are also available. The holiday home offers a seasonal outdoor pool. Barbecue facilities are at guests' disposal. Sos is 17 km from Domaine Le Poteau, while Condom is 28 km away. The nearest airport is Agen La Garenne Airport, 66 km from the accommodation. Apartment Les Hameaux De Montreal 1 is located in Montréal and offers barbecue facilities and a terrace. This apartment provides accommodation with free WiFi. This apartment is fitted with 1 bedroom, a living room and a fully equipped kitchen with an oven. Agen is 55 km from the apartment. Agen La Garenne Airport is 54 km away. Apartment Les Hameaux De Montreal 2 is set in Montréal. This property offers access to a terrace. The apartment includes a kitchen with a dishwasher and an oven, as well as a coffee machine. The apartment offers a barbecue. Agen is 55 km from Les Hameaux De Montreal. The nearest airport is Agen La Garenne Airport, 54 km from the accommodation. Boasting accommodation with a terrace, Apartment Les Hameaux De Montreal 3 is situated in Montréal. Providing free WiFi, the property also has barbecue facilities. The apartment has 2 bedrooms and a fully fitted kitchen with a dishwasher and an oven. Agen is 55 km from the apartment, while Auch is 52 km from the property. Agen La Garenne Airport is 54 km away. Featuring accommodation with a terrace, Apartment Les Hameaux De Montreal 4 is set in Montréal. This apartment also has free WiFi. This apartment is fitted with a living room and a fully equipped kitchen. The apartment offers a barbecue. Agen is 55 km from Les Hameaux De Montreal, while Auch is 52 km away. The nearest airport is Agen La Garenne Airport, 54 km from the accommodation. Set in Montréal, Le Domaine de St Orens by Resid&Co provides accommodation with seating area. Complimentary WiFi is offered. Each unit features a living room with a TV and a kitchen fitted with a microwave and a fridge. A stovetop and coffee machine are also available. Guests at the apartment can enjoy a continental breakfast. Le Domaine de St Orens by Resid&Co offers a seasonal outdoor pool. Sos is 18 km from the accommodation, while Condom is 15 km away. The nearest airport is Agen La Garenne Airport, 54 km from Le Domaine de St Orens by Resid&Co. Featuring accommodation with a terrace, Les Chênes Pieux is situated in Castelnau-dʼAuzan. This holiday home also features a private pool. With free WiFi, this 8-bedroom holiday home features a TV and a kitchen with a dishwasher and oven. The holiday home offers an outdoor pool. A barbecue and a children's playground are provided at the property. Sos is 19 km from Les Chenes Pieux, while Condom is 26 km from the property. Agen La Garenne Airport is 64 km away. Gîte à l orée des bois is located in Lisse and offers barbecue facilities. Guests staying at this holiday home have access to a fully equipped kitchen and a terrace. The property includes a living room with a TV. Agen is 41 km from the holiday home. The nearest airport is Agen La Garenne Airport, 35 km from Gîte à l orée des bois. Located in Parleboscq, Gites Domaine de Marsan features free WiFi and units equipped with a kitchen and terrace Offering pool views, all units come with a washing machine, coffee machine, a TV, ironing facilities and a living room. A dishwasher and kettle are also provided. Sos is 22 km from the holiday home, while Condom is 39 km from the property. The nearest airport is Agen La Garenne Airport, 78 km from Gites Domaine de Marsan. 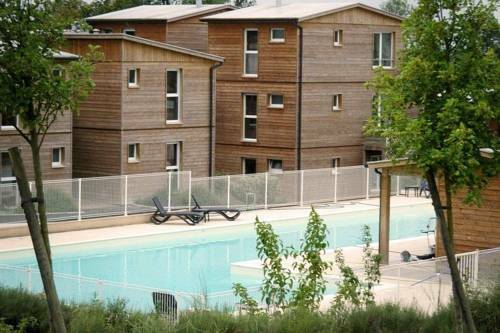 Situated in Lagraulet-du-Gers, Berdale offers accommodation with free WiFi and a garden with an outdoor swimming pool. Some units have a dining area and/or a terrace. A continental breakfast is served each morning at the property. Sos is 23 km from the bed and breakfast, while Condom is 15 km away. The nearest airport is Agen La Garenne Airport, 53 km from Berdale. Featuring free WiFi Domaine de Marsan offers pet-friendly accommodation in Parleboscq. Free private parking is available on site. The bedrooms all have a seating area and access to a shared bathroom. Guests can share meals with the owners upon prior booking. Guests can enjoy various activities in the surroundings, including golfing, horse riding and cycling. Mont-de-Marsan is 43 km from Domaine de Marsan, while Sos is 16 km away. Featuring accommodation with a terrace, Chambre sous Les Étoiles is located in Lagraulet-du-Gers. Guests staying at this bed and breakfast have access to a fully equipped kitchenette. The bed and breakfast has a flat-screen TV. A continental breakfast is served each morning at the property. Sos is 23 km from the bed and breakfast, while Condom is 21 km away. The nearest airport is Agen La Garenne Airport, 59 km from Chambre sous Les Étoiles. Situated in Lagraulet-du-Gers, Hôtel le Castel Pierre provides air-conditioned rooms with free WiFi. With a seasonal outdoor swimming pool, the property also features a garden, as well as a terrace. Guests have access to a hot tub and sauna. At the hotel, rooms come with a desk, a flat-screen TV and a private bathroom. The units feature a wardrobe. A continental breakfast is available each morning at the property. Guests at Hôtel le Castel Pierre will be able to enjoy activities in and around Lagraulet-du-Gers, like cycling. Sos is 23 km from the accommodation, while Condom is 21 km from the property. The nearest airport is Agen La Garenne Airport, 60 km from Hôtel le Castel Pierre. Situated in Beaumont, Holiday Home Casticottage features accommodation with a private pool and free WiFi. Guests staying at this villa have access to a terrace. This villa comes with 2 bedrooms, a TV, and a kitchen. The villa offers an outdoor pool. A bicycle rental service is available at this property. Agen is 48 km from Holiday Home Casticottage, while Auch is 45 km away. The nearest airport is Agen La Garenne Airport, 47 km from the accommodation. Set in Beaumont, Holiday Home Castil features accommodation with a private pool. This villa offers water sports facilities as well as a garden. Leading onto a terrace, this villa comes with 3 separate bedrooms. The accommodation is equipped with a kitchen. The villa offers an outdoor pool. If you would like to discover the area, horse riding is possible in the surroundings and the property can arrange a bicycle rental service. Agen is 48 km from Holiday Home Castil, while Auch is 45 km away. The nearest airport is Agen La Garenne Airport, 47 km from the accommodation. Set in Barbotan-les-Thermes, this apartment features a private fenced garden. The unit is 38 km from Mont-de-Marsan. Free private parking is available on site. This two-bedroom apartment has a kitchen equipped with induction hot plates, a microwave, kettle, toaster and coffee maker. Guests will find a flat-screen TV in the living area. T3 en duplex avec jardin et piscine features free WiFi. Eauze is 18 km from T3 en duplex avec jardin et piscine, while Condom is 33 km from the property. Cazaubon Barbotan Casino is just 1 km away. The nearest airport is Agen La Garenne Airport, 56 km from the property. Apartment Barbotan-les-Thermes Preferred hotel ! 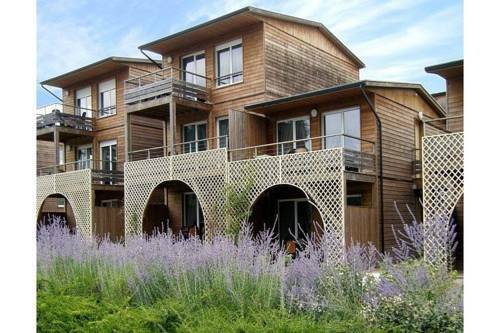 Residence Saskia is located in the heart of the spa town of Barbotan-les-Thermes in the Gers region. It is set in beautiful gardens and features an outdoor swimming pool. The contemporary apartments all have a private terrace. They come with sofa beds, a flat-screen TV, and a kitchenette equipped with kitchenware. Guests can enjoy use of the pool and the casino which is close to the Residence. Nogaro Airport is 20 km away. For guests arriving by car, free private parking is possible onsite. Etable de la Tour en Gascogne is a holiday home with a terrace, set in Fréchou. You can fire up the barbecue for a tasty meal and enjoy the garden in fair weather. The kitchenette comes with a toaster, a fridge and a stovetop, as well as a kettle. Other facilities at Etable de la Tour en Gascogne include an outdoor pool. Agen is 25 km from Etable de la Tour en Gascogne, while Sos is 17 km from the property. The nearest airport is Agen La Garenne Airport, 22 km from Etable de la Tour en Gascogne. Featuring free bikes, Chrysalide Saint Martin provides accommodation in Nérac. The accommodation has a hot tub. A fridge and kettle are also provided. A continental breakfast is available daily at the property. The bed and breakfast offers a hot tub. Chrysalide Saint Martin offers a terrace. Agen is 33 km from the accommodation, while Sos is 22 km from the property. Agen La Garenne Airport is 27 km away. Bed and Breakfast Fréchou Preferred hotel ! Tour d'Asquet en Gascogne B&B features accommodation in Fréchou. Among the various facilities are a seasonal outdoor swimming pool, a garden, as well as a terrace. Free WiFi is provided. The centre of Nérac is 5 km away. All guest rooms at the bed and breakfast are equipped with a seating area. Tour d'Asquet en Gascogne B&B provides certain units with garden views, and rooms are equipped with a private bathroom. The units include a wardrobe. A continental breakfast is served daily at the property. Agen is 25 km from the accommodation, while Sos is 17 km from the property. The nearest airport is Agen La Garenne Airport, 22 km from Tour d'Asquet en Gascogne B&B. La Vieille Ferme offers accommodation in Gondrin. Certain units have a seating area where you can relax. Enjoy a cup of coffee or tea while looking out at the pool or garden. Each room is equipped with a private bathroom. Extras include free toiletries and a hair dryer. There is a shared lounge at the property. Agen is 45 km from La Vieille Ferme, while Auch is 40 km from the property. Les Chalets de Grazimis offers accommodation, in a 4-hectare park in Condom. Free bikes are available and complimentary WiFi is featured in the common areas. . A kitchenette with a coffee machine is available in each chalet. The property offers an outdoor pool. BBQ facilities is available on site and both fishing and hiking can be enjoyed within close proximity of Les Chalets de Grazimis. Agen is 32 km from the accommodation, while Auch is 43 km away. The nearest airport is Agen La Garenne Airport, 29 km from Les Chalets de Grazimis. Apartment Barbaste Preferred hotel ! Les Bastides is located in the Aquitaine, on Albret 18-hole golf course and just 35 km from Agen. It has an outdoor pool and its apartments have satellite TV and free Wi-Fi. The apartments at Les Bastides du Golf d'Albret also have private bathrooms with separate toilet. They feature a fully-equipped kitchen, with fridge, dishwasher and microwave. Breakfast is available every morning if you reserve the night before. For a supplement, an indoor swimming pool, sauna and hamman are located 1 km from the hotel. Guests have free access to tennis courts situated 3 km away. Les Bastides is open all year and welcomes guests in an enchanting setting, midway between Bordeaux and Toulouse. Guest accommodation Barbaste Preferred hotel ! 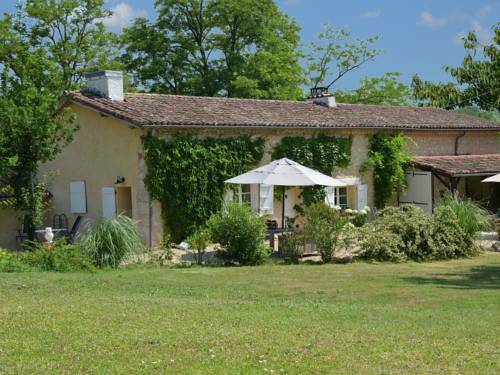 This Domaine Du Golf is located on an 18-hole golf course in the Lot-et-Garonne countryside. It has an 2 swimming pools, 2 all-weather tennis courts, and a garden. All studios and apartments at the Albret have an equipped kitchen, LCD satellite TV and a balcony offering views of the garden. Free Wi-Fi is available in all public areas. The Domaine Du Golf also has 2 restaurants. Guests can enjoy a drink in the bar or relax along the pool. The Domaine Du Golf D'albret Golf & Resort also has a children's playground and easy access to the golf course. Half a mile from the walled town of Larressingle, 5 km from Condom, Lacassagne B&B has a 5-acre park, free Wi-Fi and 2 sitting rooms, each with a fireplace. Lacassagne B&B serves a continental breakfast with sweet and savoury items every morning. Guests are also offered traditional evening meals on site at an extra cost. Some restaurants can be found less than 1 km away. All rooms have en suite facilities with shower, a hairdryer and free toiletries. They also come with a desk. Less than 1 km from St Jacques de Compostelle road, Lacassagne is also just 5 km from a water park and 20 km from various lakes where guests can swim, fish and sail. The Roman town of Seviac is 12 km away and there is free parking on site. Featuring accommodation with a balcony, Appartement T1 à 300m des thermes de Barbotan is located in Barbotan-les-Thermes. The apartment has garden views and is 44 km from Mont-de-Marsan. The apartment is equipped with a flat-screen TV. Sos is 20 km from the apartment. The nearest airport is Agen La Garenne Airport, 76 km from the property. Hostellerie De La Roseraie is located in Barbotan Les Thermes, 120 meters from the thermal baths and close access to the botanical garden. It offers a large garden with garden furniture. Each room has a simple décor with a balcony and views over the garden. They are equipped with free Wi-Fi, a flat-screen TV and a private bathroom. A buffet breakfast and traditional French cuisine is offered at the restaurant. Meals are served in a classic dining area or on the terrace overlooking the garden. Guests can enjoy a drink at the hotel’s bar. Other facilities featured at the Hostellerie De La Roseraie include a fitness centre, library, a games room and a computer for internet access. Free private parking is provided. Mont de Marsan and its train station is 30 km away and Parc Naturel Régional des Landes de Gascogne is 40 km from the La Roseraie. This fully-renovated former Gascon farm is set in a unique setting, at the foot of a fortified village dating from the 13th-century. It offers a wellness area with sauna, spa bath,emotional shower. The spacious guest rooms of the Logis L'Auberge de Larressingle have breathtaking views of the medieval village or the nearby countryside. The calm and authenticity of this setting offer the ideal backdrop to your stay. Of a surface of 25 m², each room comes with work desk area and television. Enjoy fine regional cuisine in the beautiful dining room or on the terrace looking onto the fortifications, in a unique natural setting. The picturesque and historic hamlet of Larressingle is the ideal setting to fully discover the Gascony area. This hotel is 150 metres from Barbotan-les-Thermes thermal resort. It offers free Wi-Fi access in public areas, a garden and a fitness room. All rooms at Hôtel Cante Grit offer carpeted floors and a flat-screen TV. A private bathroom with a bath or shower is also provided. Some rooms have free Wi-Fi and a view of the garden. A continental breakfast is served every morning at Hôtel Cante Grit and can be served to the room upon request. Guests can also enjoy meals made from local products at the hotel’s restaurant. A bar is also featured on site. The property is a 40-minute drive from the A65 motorway and 25 km from Nogaro racetrack. Free private parking is available. Situated in Cazaubon, Résidence Des Thermes features accommodation with free WiFi and a casino. A kitchen with an oven, a microwave and dining area is included in all the air-conditioned units. A toaster, a fridge and stovetop are also featured, as well as a coffee machine and a kettle. The apartment offers a terrace. Cycling and fishing can be enjoyed nearby. Mont-de-Marsan is 44 km from Résidence Des Thermes. The nearest airport is Agen La Garenne Airport, 76 km from the property. Boasting a garden, an outdoor pool and pool views, Gite de Micouleau is located in Nérac. The holiday home is in an area where guests can engage in activities such as fishing, hiking and tennis. Providing access to a terrace, the holiday home consists of 4 bedrooms. A flat-screen TV is featured. The holiday home offers a barbecue. Agen is 37 km from Gite de Micouleau. Agen La Garenne Airport is 36 km away. La Bastide features modern rooms situated in a stone house from the 18th century. It offers 5-star accommodation, a hot tub, a hammam, a spa and wellness centre. The spacious rooms and suites at La Bastide offer views over the well-established gardens. Decorated in neutral tones, the rooms are light and airy. Each is equipped with a flat-screen TV and has free Wi-Fi. The light-filled dining room serves healthy, balanced meals designed by chef, Michel Guérard. Guests can also enjoy grilled meats from the barbecue on the terrace in warmer months. La Bastide provides additional guest lounges and a bar with a fireplace. Outdoor furniture is also provided on the terraces and around the garden. La Bastide is opposite the Barbotan-les-Thermes thermal baths. Free parking is available on site. Located in Barbaste, Village Club Relais Du Moulin Neuf provides a seasonal outdoor swimming pool. This 4-star hotel offers free WiFi. The property has a garden, as well as a restaurant that serves French cuisine. The units in the hotel are equipped with a flat-screen TV. Featuring a private bathroom, rooms at Village Club Relais Du Moulin Neuf also feature a garden view. All guest rooms have a desk. Guests at the accommodation can enjoy a continental breakfast. Village Club Relais Du Moulin Neuf offers a children's playground. Agen is 35 km from the hotel, while Sos is 21 km away. The nearest airport is Agen La Garenne Airport, 35 km from the property. Hotel-Restaurant de la Paix is surrounded by botanical gardens and overlooks the thermal spa and Parklands. It offers a quiet garden with a heated pool and terrace, and fitness centre. Each soundproofed room is equipped with a flat- screen TV and private bathroom. Free Wi-Fi access is also available. The Restaurant de la Paix serves traditional French cuisine and new dishes inspired with seasonal products from the daily market. Guests can enjoy a drink at the hotel’s bar. Free secure private parking is provided. Sights in the nearby area include Abbaye de Flaran Cistercian Monastery, Musée d’Artagnan and the Gallo-Roman villa of Seviac. Below here is the hotels map of Sos. Names and details of Sos hotels can be shown on the map clicking on the prices icons.